A confluence of factors has caused investor sentiment to sour on emerging markets recently, including global trade tensions, a rising US dollar and idiosyncratic issues in Turkey and Argentina. While some of the headlines may seem disconcerting, they don’t tell the whole story, according to our investment professionals who are on the ground in many of these regions. 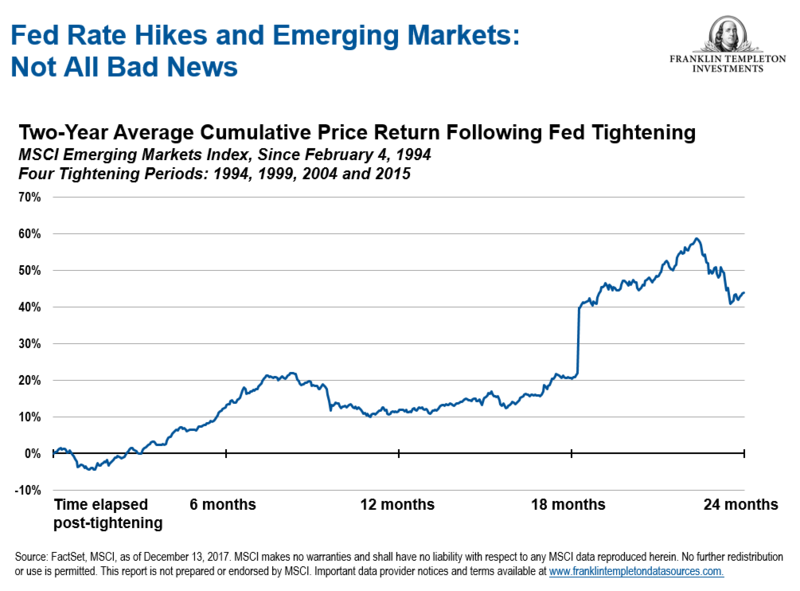 In addition, the chart below shows that the previous Fed tightening cycle from June 2003 to June 2007 had a limited impact on emerging-market currencies. 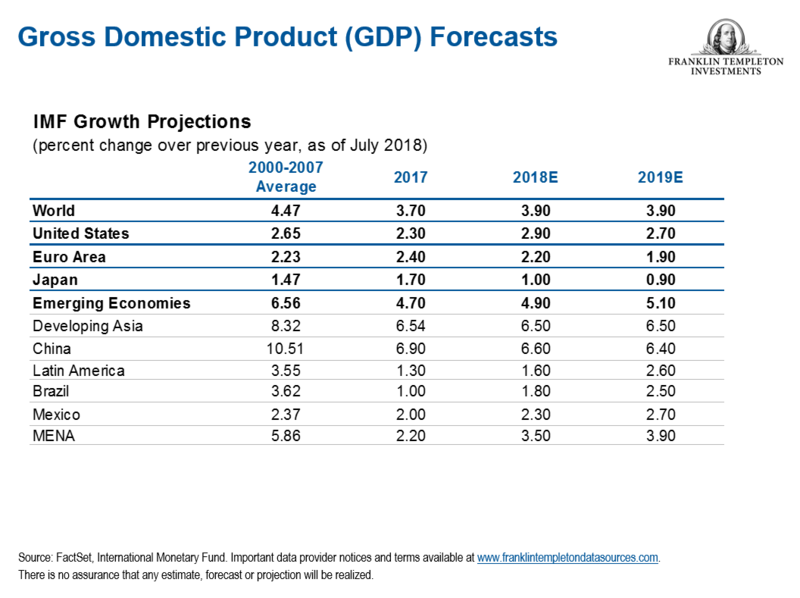 “We’re not only witnessing a shift in the geographic epicenter of GDP growth to the East, but even within emerging markets there has been a transformation in the drivers of growth. For instance, several years ago China overtook the United States and Japan in terms of total patents filed, and this is but one of many indicators of the shift towards innovation, technology and more broadly the ‘new economy’ that is taking place.” – Manraj Sekhon, September 19, 2018. 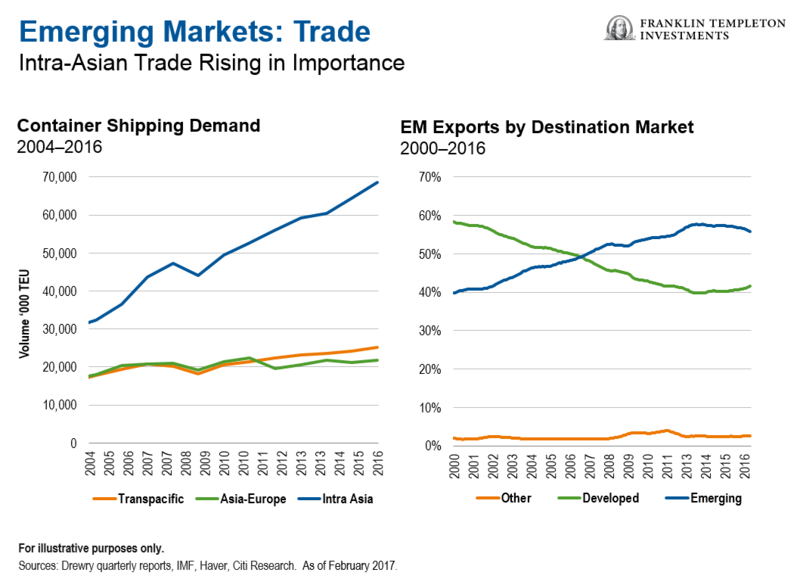 “In the last decade, China has shot past the United States to become a far more important export market for most large emerging economies—not least due to its burgeoning consumer market—and accordingly, trade growth now predominantly comes from intra-emerging-market demand. Rising protectionism in the West may further pivot focus towards regional agreements; indeed, China appears eager to replace US leadership in Asia in this area.” – Manraj Sekhon, September 19, 2018. 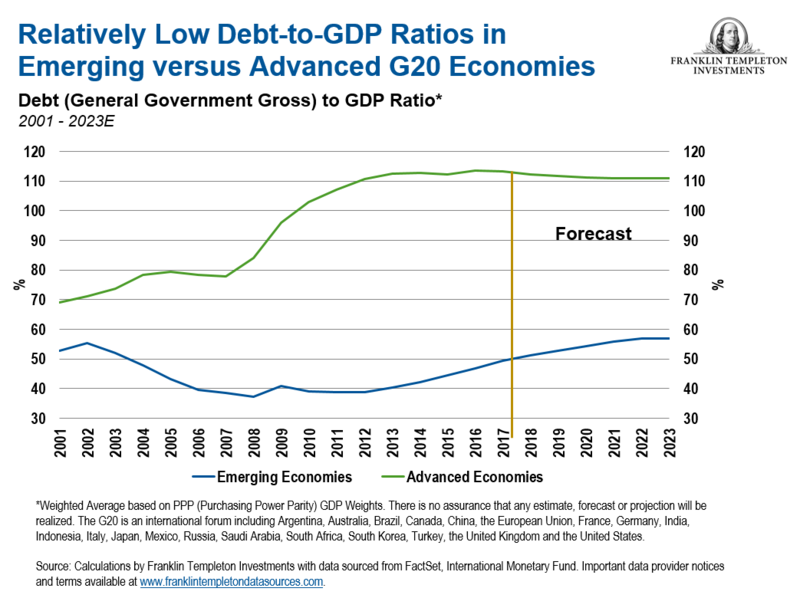 “Macroeconomic factors…have been primary contributors to market volatility this year. During such periods, EM equities generally face heightened risk aversion and indiscriminate selling, often at the expense of solid fundamentals. As long-term investors, we attempt to look past short-term market turbulence to identify long-term values.” – Manraj Sekhon and Chetan Sehgal, Franklin Templeton Emerging Markets Equity, September 17, 2018.